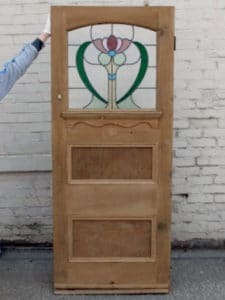 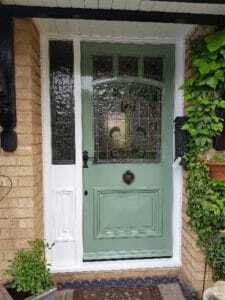 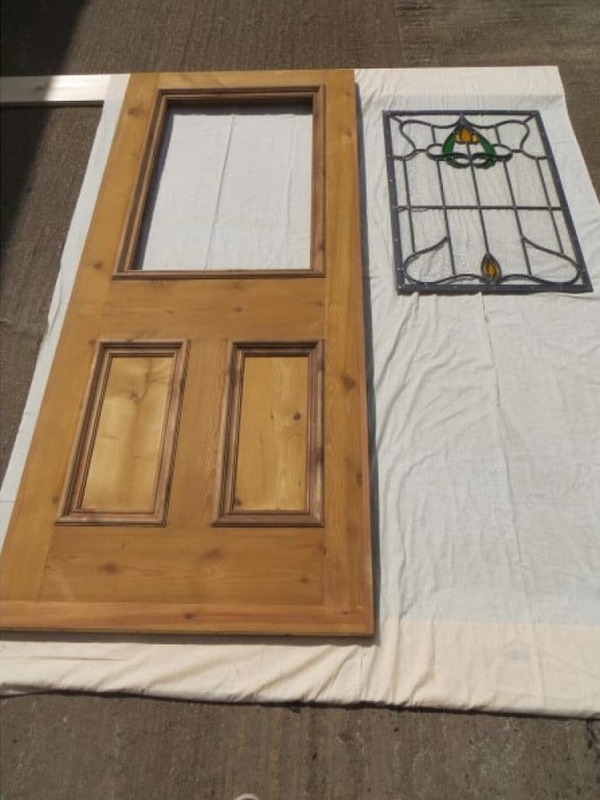 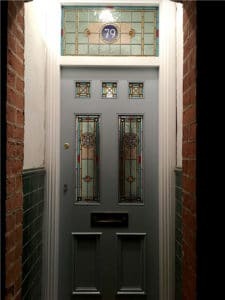 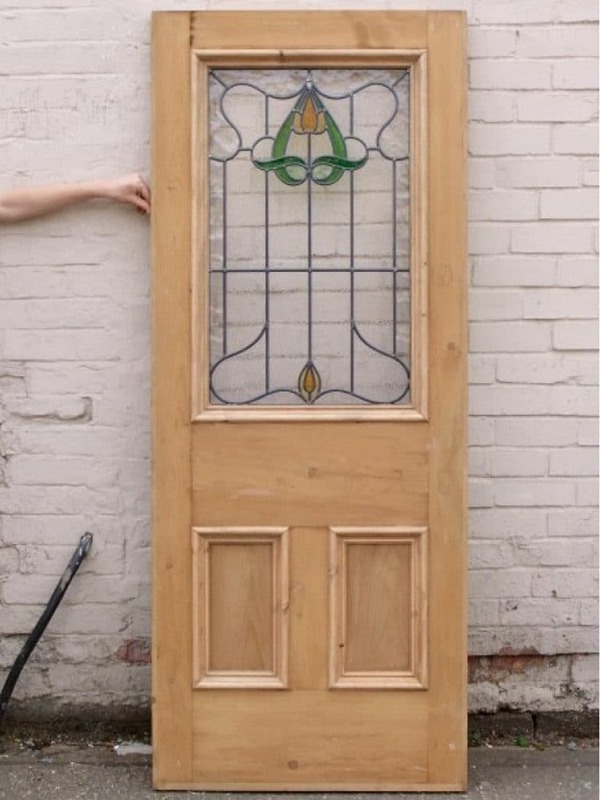 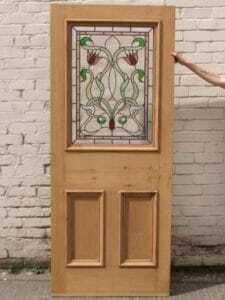 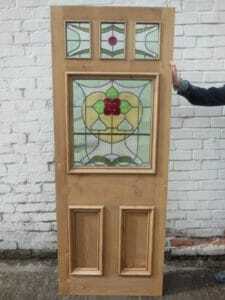 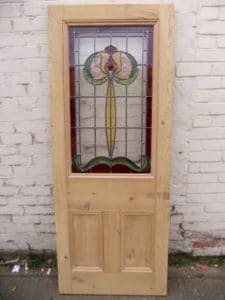 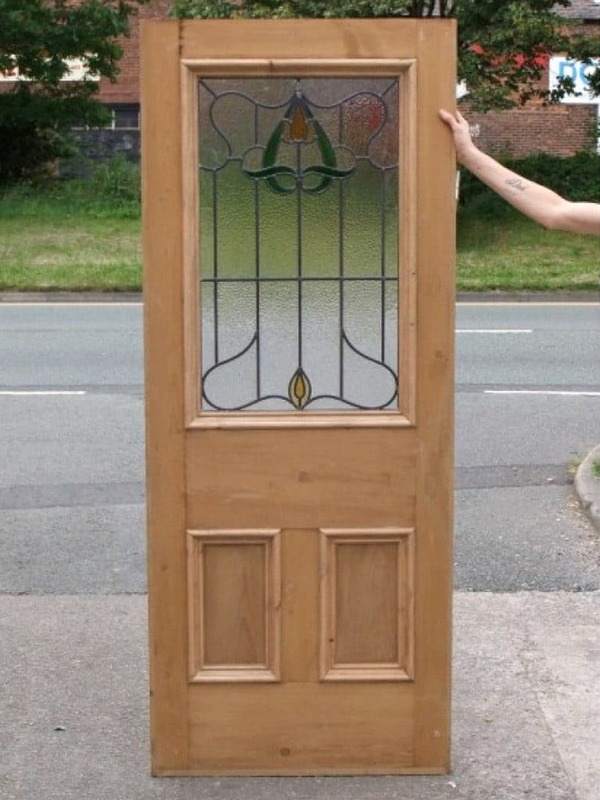 This original 3 panel Edwardian door was fully restored by our expert team, ready for re-fitting. 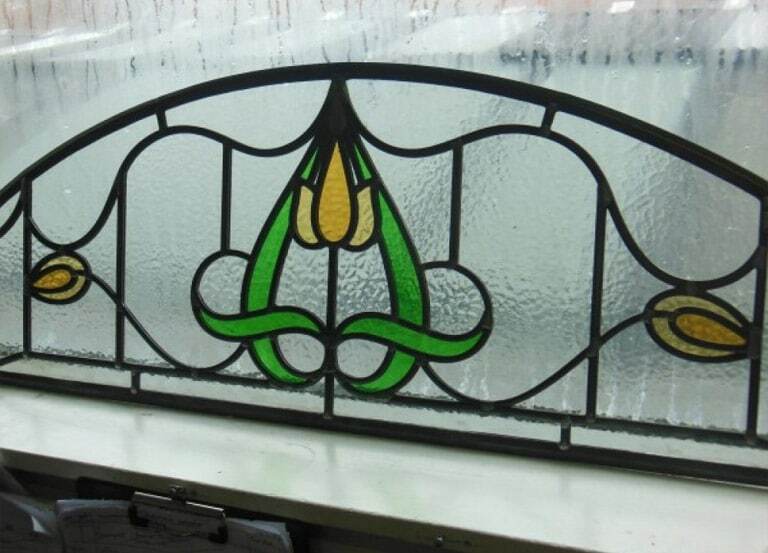 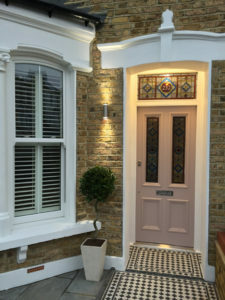 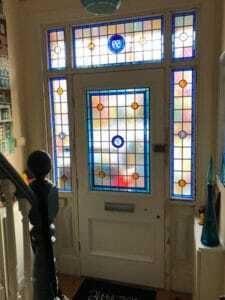 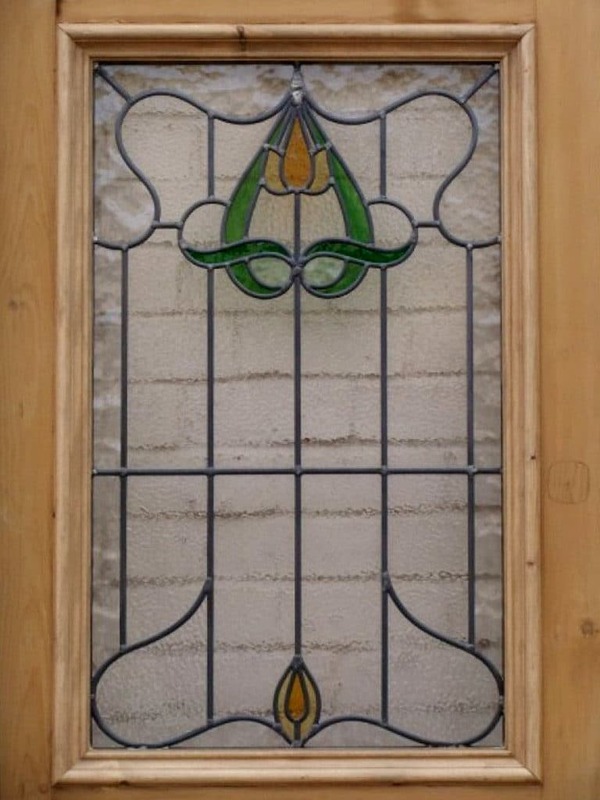 We provided a new and fully bespoke stained glass panel from our range. 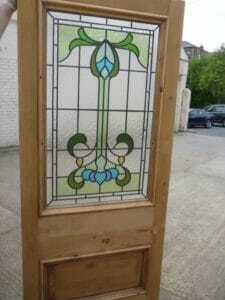 We were also asked to supply a matching overhead panel which would be placed in the original frame above the door.